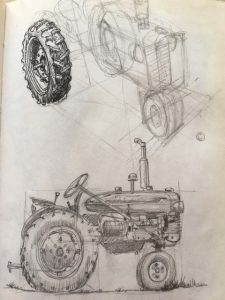 This month marks twenty years that I have been writing and illustrating the Tractor Mac book series. It’s been a remarkably fun and fulfilling adventure, one that has introduced me to so many wonderful people: tractor owners, farm families, and school children of all ages, plus their parents, grandparents, and extended families. The books have also paid for three college tuitions and even a few fun vacations as well over the years. After I separated from active duty, I got married to a wonderful woman and started a family. 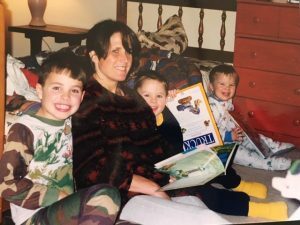 The three boys we raised always demanded more stories than the full trove of children’s books we had. So, the stories of the red tractor came to be. 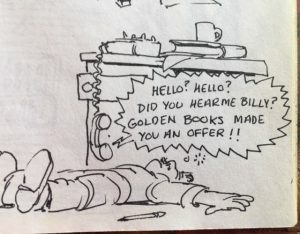 At about this time, I was fortunate enough to get a job as a contract artist with a local children’s book author and illustrator after I had tried my hands at illustrating advertisements. The author who took me in must have seen something in my abilities with pen and ink. He taught me everything I know about book layouts, perspective drawing, and the craft of writing and illustrating an engaging story, and I am greatly indebted to him. I worked on close to forty titles of his books for him over seven years and learned a great deal. I slowly worked out, on my own, the watercolor painting style of my ink work and the business of publishing, with my wife Julie’s support and encouragement. 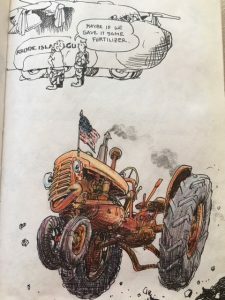 It took five years of submitting my Tractor Mac story to publishers until I got a very lucky break with Golden Books, who published Tractor Mac in 1999 (later changed to Tractor Mac Arrives at the Farm). 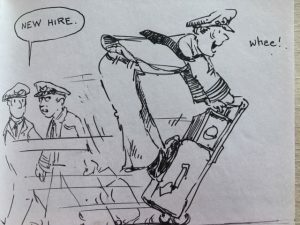 This was also the same year I got hired as a commercial airline pilot. As my friend Walt Barber (who is also an actual barber), told me from the very first book release, “Billy, in another twenty years you’ll be an overnight success “. I am very much looking forward to the next twenty years and achieving that goal.